What is the 'Best Available Rate' seal? HOME > SETUP AREA > What is the "Best Available Rate" seal? The Best Available Rate (BAR) is also known as Best Rate Guarantee. This seal assures that your guests are quoted with the lowest available rate for each night. This will allow you to show a proof to your clients that your website prices are totally controled by you as well as the prices of the selling channels and that your website has the best price available. 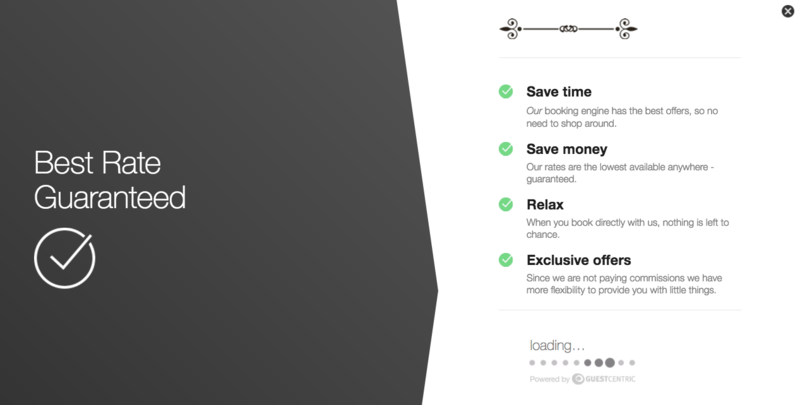 When opening your booking engine, Guests will automatically see your best rate guaranteed seal. This seal will encourage your guests to book directly through your direct selling channel. 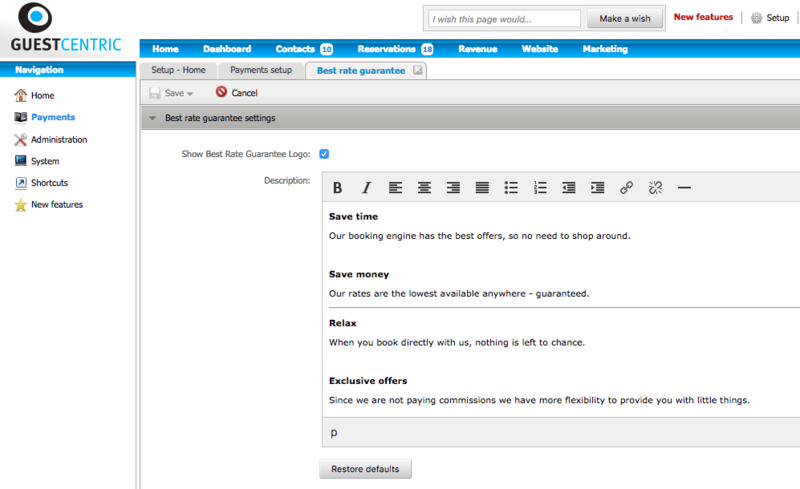 This seal is already inserted by default in the booking engine. Choose the page you want to translate, doble click it and translate te content.